Here is the picture of our Urban Sports club c.a 2012 I really like this picture for the creative approach to the subject. It’s hard to look through the sport photos for a long time and not get bored with rows and rows of static faces. Well, this one is different. And if you were unsure of what Urban Sports were, well, the answer is in the picture itself. I dig in the archives so much and go back into so long ago it makes me feel as old as an average mayfly. But then I am a part of that story too, and so are the people that were in my class. With the influx of the sport-related pictures came those that were made while I was a student. I remembered that, although we were humanists, we also had some people that were very involved in sports. I tried to find them, but I had little luck. Either I misremembered or they stopped playing before the pictures were taken. But then I stumbled across one face I will never forget. That girl in the black is Charlotte Hook, one of my classmates. Here I often share memories of people that I never knew, memories that belong to other people. Now let me share memories of Charlotte, because we are too part of Marjon’s story. She is the most magnificent loudmouth you have ever seen. Usually I am annoyed by loud people, but I was never annoyed by Charlotte. She’s just this person that brings energy with her everywhere she goes. Charlotte is also a professional Scooby-Doo impersonator. She’s a mistress of everything that is zany and goofy and I always was envious of that. Oh Charlotte, never let anyone to shush you! I do hope you google yourself sometimes, so I can tell you: never change. So many books seem to be finding their way to the archives when they finally finish their life on the library shelves. Maybe I should make it a permanent column here in the blog? 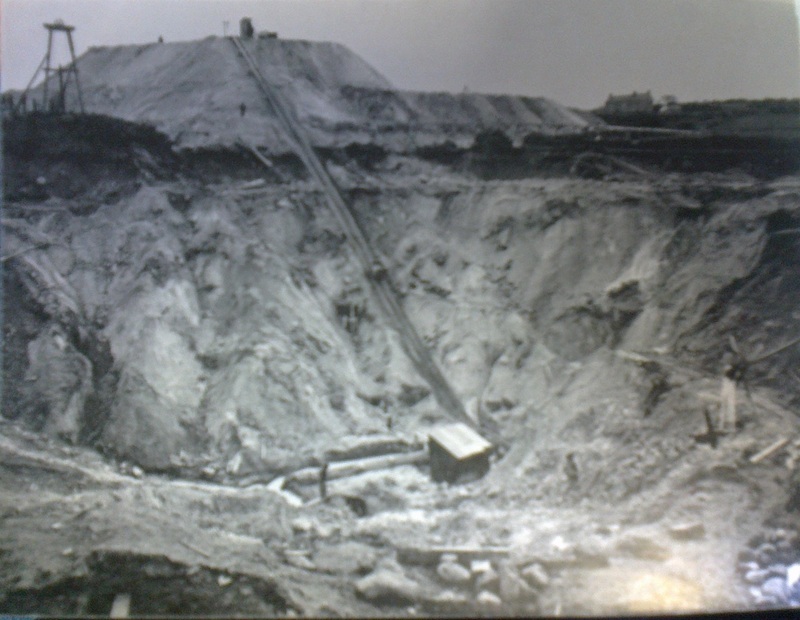 Today we have A History of the Cornish China-clay Industry by R.M. Barton. The ways of making china was once one of the most well-kept secrets of the world, like Coca-Cola formula or the algorithms of Google. Come to think of it, do you know what makes the thin shell of a tea-cup can stand the searing heat of boiling water? Clay is not enough. The white kaolin needs other minerals to become a strong china: china-stone, serpentinite, soap-stone… all of those things happen to be or once were mined in Cornwall. Then they are the pits, where the clay had to be mixed with water and then pumped out. Very different from what we normally understand under a term ‘mining’. The mined material has to be moved, so the industry made great difference to the infrastructure of the region, most notably the rail and ports. The pits produce mountains of waste materials that changed the landscape of Cornwall. Interestingly enough, the nature has her own way to colonize the man-made hills. Of course, I’d be here forever if I wanted to talk about every subject in this book, but I can say two things. It is certainly nice to be able to point out china ingredients from a mineral display while on holidays. It is also nice to realize why the Eden Project’s site is shaped as it is.